Longtime tech industry pundit Tim O'Reilly sat down with InformationWeek to talk about the future of business, society, and the enterprise. Here's what he says enterprises must do to compete in a changing business environment. The enterprise technology industry is in the midst of a profound change as hardware and software sales have been transformed into cloud services sales in recent years. At the same time, enterprise customers of these vendors have found themselves competing against a new class of scrappy, fast-moving startups that are unencumbered by their existing technology infrastructure. They can just spin up servers for their entire operations in the cloud and build on top of that. Their IT infrastructure and staffing is dynamic. They receive and act on customer feedback in real time. So how do enterprise organizations compete in this new era? 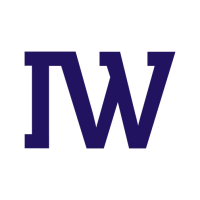 InformationWeek recently caught up with longtime industry watcher and founder and CEO of O'Reilly Media, Tim O'Reilly, to talk about the challenges ahead for the enterprise in particular and the IT industry and society overall. 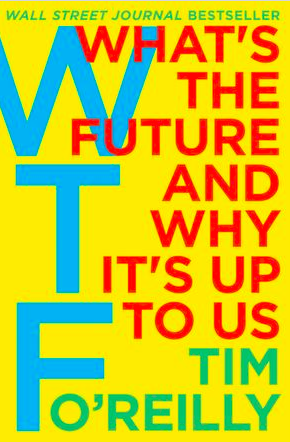 It's part of what he has written about in his new book, WTF: What's the Future and Why It's Up to Us. O'Reilly Media operates the big data conference Strata + Hadoop, among other events, and offers the Safari learning platform. O'Reilly's book is the culmination of lessons from years in the industry, and a call to action for participants to shape their own futures proactively, given the forces that are at work right now. Those forces include intelligent machines replacing human labor and eliminating jobs. It also includes learning lessons from some of the admired upstarts such as Uber and Lyft. In this environment, O'Reilly has some specific advice for enterprise organizations looking to compete. Here are the key concepts. Put a customer feedback loop into your process and listen to it. "The biggest thing you want to do is follow your users and your customers and learn from them so you can serve them better," O'Reilly told me. He recommended instrumenting your processes so that you can capture that information. If one of your marketing emails causes you to lose 25% of your response, you need to know that so that you can optimize your programs for the future. O'Reilly notes that there's a fine line between commodity and custom software these days, and it's always moving. "There often is a reluctance to adopt new technology like the cloud because you have a lot invested in your infrastructure," he said. "But the fact is, a lot of it is a commodity now." 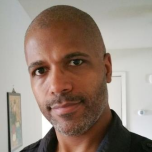 Many vendors can offer you better security and email hosting services than you can provide to yourself, he said. "We've built this Internet operating system that has all these useful components -- payment, identity -- use them. Figure out how to use them to serve your customers." "You are a bridge between a network of suppliers and a network of customers," O'Reilly said, but that doesn't mean you should put your only focus on yield management. You should also be looking to create richer, more unique experiences for customers and suppliers. "Understanding what people value in today's economy is what really matters," O'Reilly said. He said that airlines are doing a very poor job of providing positive customer experiences. They are profitable now that they've introduce so many fees. "They've become hated at the same time," O'Reilly said. "I can't imagine that's going to end well…The airlines are setting themselves up for a disruption because they are treating people like a commodity and people don't want to be treated like a commodity. Maybe Hyperloop will put them out of business." O'Reilly notes that his company's COO Laura Baldwin says, "You have to go to war with the army you have." That's not to say that's easy in today's market. "You are competing against companies like Google and Amazon who have this war chest of highly valued stock they can use to attract the best and brightest people," O'Reilly said. "How do you compete with that?" O'Reilly can't offer employees comparable stock in the privately-held O'Reilly Media. "But one of the ways I compete is with idealism. We want to make the world a better place. We really care about that." Among the strategies O'Reilly recommends is education, something that his company offers to both its employees and as a service to paying customers. He believes that to compete in the future economy, workers will need to embark on a life-long course of learning. Education doesn't end with high school or college or an advanced degree. That's why O'Reilly Media has turned its Safari platform from an eBook platform into a Learning platform. "Our job there is to partner with companies to help them create opportunities to learn the skills they need to be better at their jobs." O'Reilly offers another aphorism about staffing and teams -- The team with the most superstars wins in basketball. If you are not the team that can pay for the most superstars, then you have to make your people into superstars, O'Reilly says. "That's probably the biggest advice that applies to every company," he told me. "The other is to understand profoundly what is the heart of your business model," he added. "A business model is the way all the parts of the business work together to create competitive advantage and customer value. We applied that to our thinking at O'Reilly." At his company, O'Reilly started as a computer book company and added the business of doing conferences. "What we were trying to do was to reconcile those two businesses, and we realized that rather than see these as two lines of business, we needed to think of it as two parts of the same business." It's not always easy to transform and take the path you need to take for success. Not everyone will do it. But it's necessary. "Sometimes you have to do deep introspection," he said. "Sometimes you have to burn your boats."